One of my resolutions this year is to start doing paper crafts, utilizing the Christmas greeting cards I have saved for years. I also bought more cards, ribbon, and craft tools to help keep me motivated. 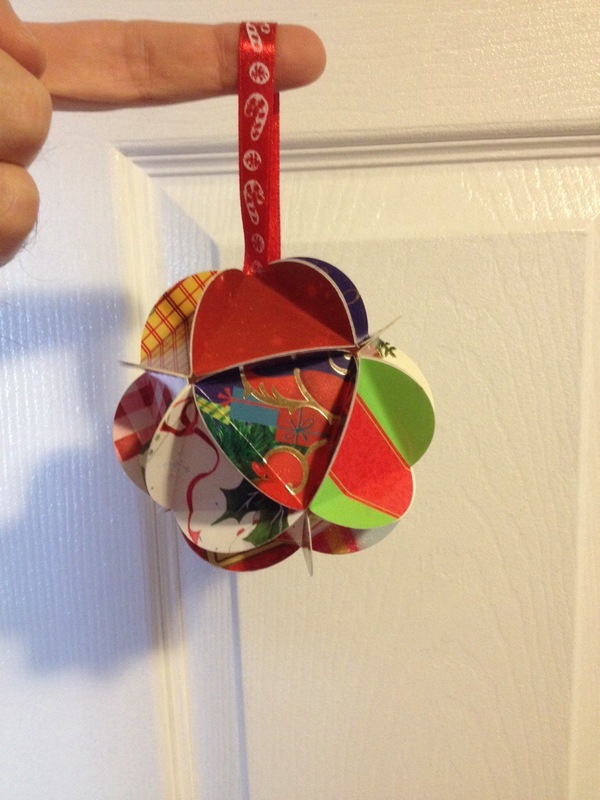 Today’s picture is my first ornament which I just finished minutes ago. I will be blogging more about it in another post for those who might be interested in making them too.